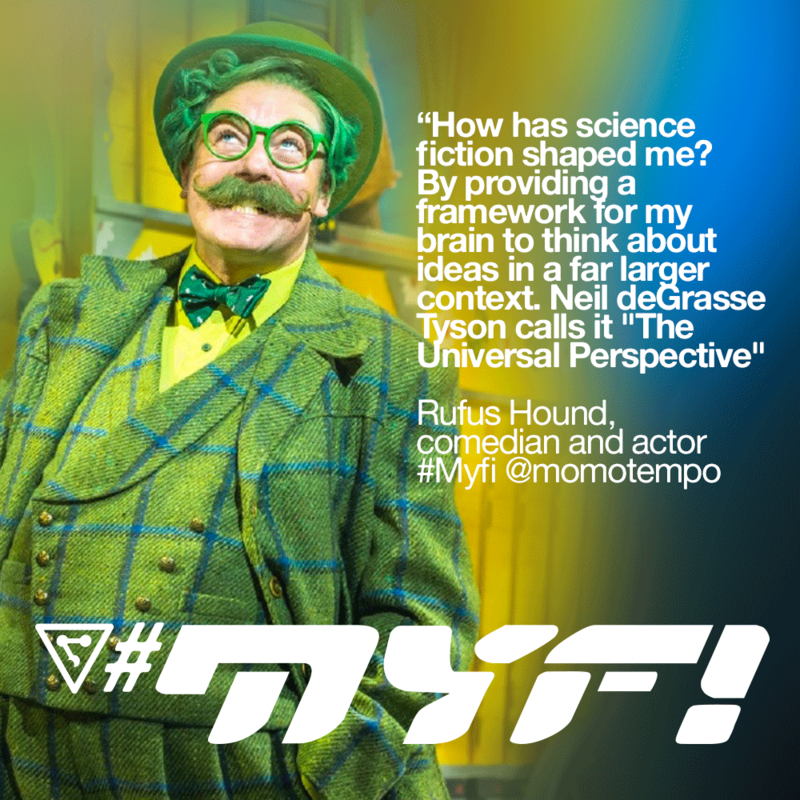 Momo launches #Myfi – to ask: What does science fiction mean to you? The brand new, long-awaited project from south coast creative, producer and future seeker, Timo Peach, is… coming. But ahead of announcing what he’s been up to in the shed for two years, the bloke from Momo:tempo is launching a little campaign to ask people from the many worlds of fandom, across music, arts and science – how has the most visionary storytelling genre shaped them? And you can help – by ‘gramming, Tweeting, posting and sharing to #myfi @momotempo. Science Fiction, it is said, used to be rather looked down on. Seen as silly. Considered lower art. But not anymore. Why? This is a question Timo Peach has pondered a bit lately – and now he’s engaging all the minds he can make contact with to hear their stories of how different visions of reality changed their own. 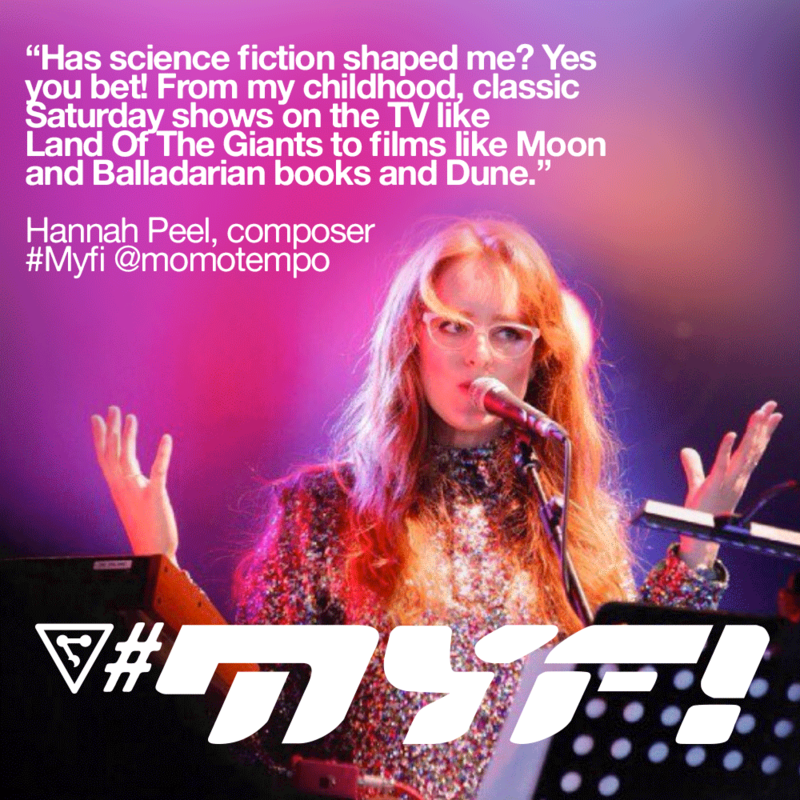 Appearing most immediately on Momo’s Instagram pages, Myfi – How has science fiction shaped you? is a simple online thread across the Momo channels, collected into regular full blog posts, looking for the human experiences affected, caused, encouraged or remedied by tales of alternate realities and far flung futures. But why is Mr Peach embarking on this great voyage? And what exactly counts as scifi? “I’m doing it as a beginning to sharing what else I’ve been up to in the studio since Thespionage,” he says, “it’s a little relevant. Many of the followers and family of Momo:tempo and Timo’s work are imaginistas of one kind or another, regularly working in or celebrating science fiction’s many worlds, and so taking the music project into space was a natural fit, he explains. “All the solar winds seem to confluence on me heading to the stars with the next LP, and it’s lead me further than I imagined I’d go. But the starting point seemed to be listening to the heavens before blasting umpteen thousand tons of creative lift into trying to get into orbit with anything – be like a radio telescope before chemical rocket. And so it wasn’t hard to find people to ask about what science fiction has meant to them – and what it’s meant is many deep, quickly personal things. What I’ve heard already is moving and interesting and oddly relevant. “People draw the line in slightly different places about the nature of scifi, but all agree it is trying to say something. Illuminate something. Shed new light on the human condition in ways other more direct storytelling can’t always reach so affectingly. It uses the possibilities of science and technology to often look forward, but sometimes sideways, at where history might go or might have gone. As Timo discovered just from this first collection of responses, people have found their value systems, their careers, their talents, their friends though science fiction. But is there a relevance to now, beyond the fan community? Timo seems to think so. But Timo’s background made science fiction in general a natural fit for him to explore, even before the acceleration of techno-social and political 21st century life into everyone’s news feeds. But responding to Myfi doesn’t have to go deep, he says. It’s open to everyone. The results will be regularly reposted in Momo’s blog, the Lingo pages, and across his channels in an ongoing exploration of themes and experiences. And the aim is to create an exhibition of posters. I was born in those dear old dystopian days before tele. At least, before anyone we knew had a receiving machine. So the family was uploaded onto a bus every week to go to the flicks in a nearby town. At the age of three I saw my first film which happened to be “Invaders from Mars”. I was suitably terrified and had nightmares about it for years afterwards. I have seen it once since a few years ago but the idea of it still fills me full of dread. Later there was “Journey into Space” on the electric wireless and from then on I have had a love-fear fascination with the genre which underpins everything I write.